CABG (pronounced "cabbage") may be a familiar term if you or any of your close ones have suffered from a heart attack. Chances of this are quite high, specially if you belong to Indian population. Studies of Indian immigrants and cross sectional studies in India, have demonstrated that coronary artery disease (CAD) is rampant in Indians and that its prevalence is several folds higher than in industrialized nations. The Global Burden of Diseases (GBD) study reported the estimated mortality from CAD in India at 1.6 million in the year 2000. Extrapolation of this estimate shows the current burden of CAD in India to be more than 32 million patients. Let’s take a closer look on what is CABG & how to deal with it. CABG stands for Coronary Artery Bypass Grafting. It is same as what is commonly known as Heart Bypass Surgery. CABG is a surgical procedure done for patients who have developed blockages and have had significant narrowing in the arteries of their heart. CABG helps to establish new routes of circulation after the surgery; enabling better delivery of oxygen and nutrients to the heart muscle. How long does it take to recover after a CABG surgery? Immediately after CABG, patient will feel weak & have a lot more apprehension in resuming basic activities & movements. Sutures are usually removed in 7-10 days or before the discharge. Patients may feel some pain & discomfort at the chest incision level. There may be some swelling /edema around the ankle. So patients may be advised to wear compression stockings for first few weeks. The healing phase post-operatively continues for 6-8 weeks. The patients may be advised not to lift heavy objects; more than 5 kgs. Patients may start with the routine ADL’s after 6-8 weeks gradually by initiating with non strenuous activities. A cardiac rehab program at this stage aids faster recovery. Are there any complications after CABG? It is best to consult your doctor immediately if you find anything bothering you after surgery. What are the best practices for recovery after CABG? Good incision care - Do not wash or wet the incision, keep it clean & dry. Avoid excessive activities that can cause fatigue or discomfort. 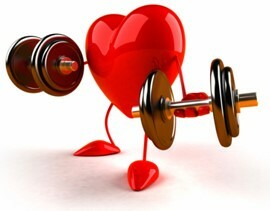 Avoid lifting heavy weights (nothing more than 5kg). Progress gradually preferably under supervision during cardiac rehab. Don't push or pull heavy things. Don't stand in one place longer than 15 minutes. Be regular with medication and not cease the intake of any medicines without doctor’s consent. Why do I need Cardiac Rehab after CABG? An acute coronary episode reduces the patients cardio-respiratory capacity. Even after the the procedure, client may still have some signs of residual ischaemia or necrosis which may present by a low systolic blood pressure. 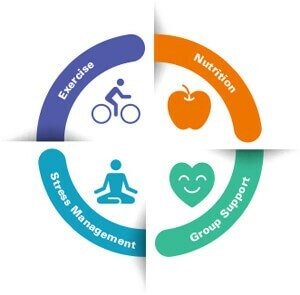 Cardiac rehab presents a systematic exercise program to improve cardiovascular function and plays a very important role in recovering safely after CABG. You may want to read a cardiac patient recovery story who underwent a cardiac rehab at ReLiva, by clicking here. What if I don’t take Cardiac rehab? In addition to lifestyle changes you'll need to make after your surgery, your doctor will frequently recommend a cardiac rehabilitation program. 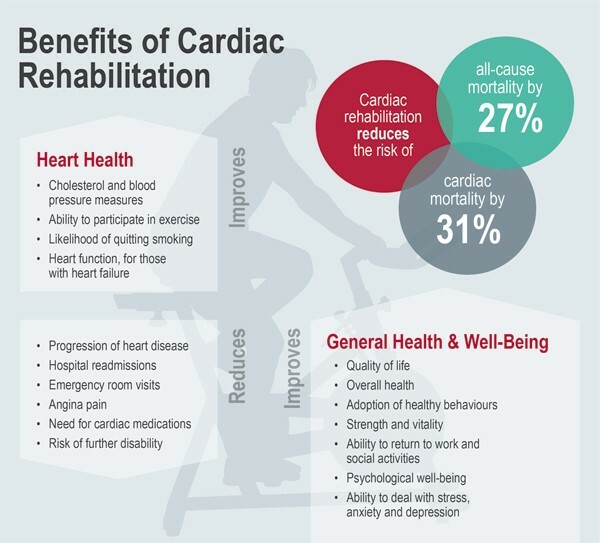 Cardiac rehabilitation — also called cardiac rehab — is a customized program of exercise and education, designed to help you recover after a heart attack, from other forms of heart disease or after surgery to treat heart disease. Cardiac rehabilitation often begins while you're still in the hospital and continues with monitored programs in an outpatient setting until home-based maintenance programs can be safely followed. Patients who have undergone CABG’s may experience severe soft tissue injuries and bone damage in the chest wall. If these areas do not receive mobility exercises in the early post-operative period, the musculature can become weaker causing more discomfort & a prolonged recovery period. Upper body ergometery exercises in light to moderate intensity can prevent these problems. Also a phase II cardiac rehab protocol can provide a closed monitoring & supervision in the improvement of cardiovascular parameters and detect early restonis. Hence, its definitely important to take up a Cardiac Rehab protocol for at least 8-12 weeks after 4 weeks of CABG. How do I maintain health after CABG? Avoid excessive salt intake and fatty/oily food. Be regular with your medication. Keep stress level under control. Adhere to a regular sleep pattern. A comprehensive approach with combination of medication, cardiac rehab, diet and few lifestyle changes can lead to a healthy happy heart. 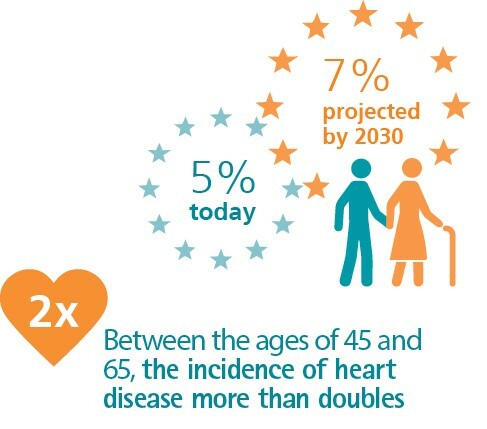 Who is likely to get a Coronary Artery Disease? 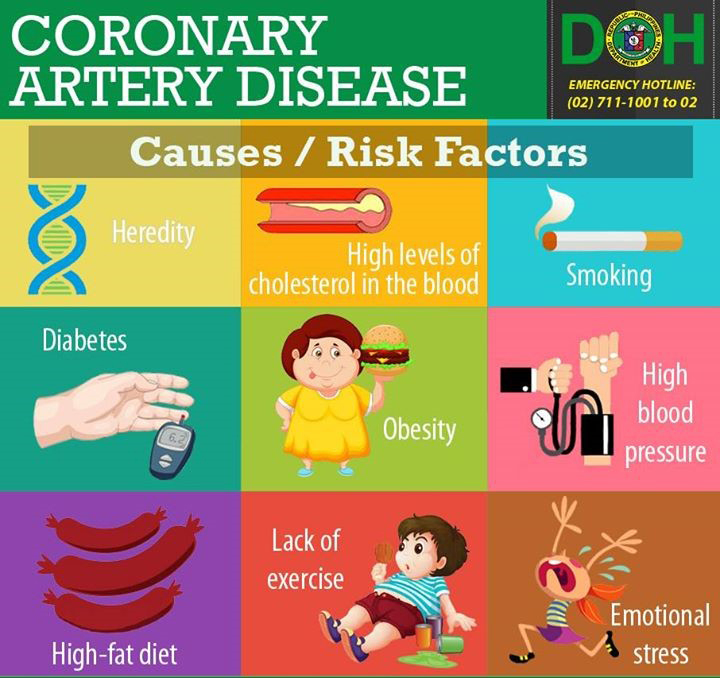 Following are the risk factors which can accelerate the risk of coronary artery disease thereby increasing the chances of heart attack & subsequent CABG procedures. How does Coronary Artery Disease develop? 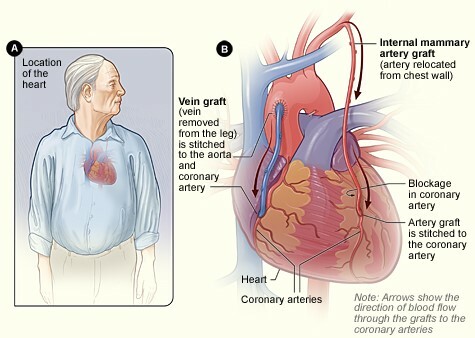 Coronary Artery is the name of the artery (pipe/ vessel that carries blood to the heart muscle). This artery get hardened and narrowed due to deposition of hard plaque called as atherosclerotic plaque. The plaque may cause significant narrowing of the artery over a period of time, reducing blood supply to the heart. The heart muscles then start getting starved of blood supply (its main nutrients & oxygen) & begin to complain by giving chest pain to the patient. This chest pain called as angina varies in intensity based on the intensity of occlusion the arteries & the number of arteries being occluded. If this artery gets completely blocked; patient can get a heart attack. When the artery blockages are more than 90%; the patient presents with exacerbated symptoms of angina i.e chest pain. Some may experience it even while sitting or being at rest while others feel the precipitation on movement (like walking for a few meters or climbing stairs). 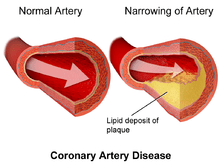 How is a Coronary Artery Disease diagnosed? Medications: used to compensate for the reduced blood supply to the heart. Blood thinners are used to prevent clumping of plaques & prevent blood clotting. When patients continue to show the symptoms of angina inspite of medications; angiography helps to identify the objective blockages and helps them to decide if the patient should be considered for angioplasty or CABG. Angioplasty: a guided wire is advanced from the groin to the blocked arteries and a narrow balloon attached to the end is then used to push open the blocked artery. CABG: used in patients who had a failed response to medications /previous angioplasty procedures , multiple blockages or non patent arteries. It also shows a long term survival in patients with significant narrowing of arteries. What exactly happens during a CABG? CABG is a major surgery; also commonly known as a Heart Bypass Surgery. An incision is made at the middle of the chest and an access is made to your heart through the breast bone (sternum). The heart is cooled by iced salt water to minimize the damage of reduced blood supply during the surgery. Temporary circulation is established by plastic tubes to ensure the cardiac activity. Bypass grafting involves use of grafts from the veins of other parts of your body which are sewed beyond the narrowing or blockage. This entire procedure can take around 4 -5 hours to complete. At the end of the surgery, a wiring is done at the site of the incision, for closure of the chest. The plastic tubes are left in place to remove the excess fluid after surgery. These are removed 1-2 days after surgery. Patients are expected to start ambulating with first 24-48 hours after the surgery within the room; in case of no complications. This article has been contributed by Dr Anuradha Mandlekar (PT). Dr Anuradha has an extensive experience and specialises in Heart health with a Masters in Cardio-thoracic diseases and American Heart Association (AHA) accredited certificate in heart health. India is one of the most populous countries in the world. The present health scenario suggests that our country is undergoing an epidemiological transition. The epidemiological infectious diseases are getting superseded by the non-communicable diseases (NCD). Estimates indicate that NCDs account for 53% of total deaths in India & Cardiovascular diseases (CVD) mortality tops the list of NCD deaths with 45% of deaths accounted by CVD. Here are some helpful tips about things you should consider as a care giver for a bedridden elderly at home and ensure good health & recovery of the patient and your own well-being. Bed rest may be advised to elderly, pregnant women and back injury. There are others who may be bed ridden and suffer the complications of prolonged bed rest.